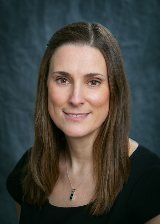 Michelle Cario, joined Hertvik Insurance Group in 1997 and currently is the Access Plus Manager-Commercial Lines for SIA of Northern Ohio. Michelle works with over 60 independent insurance agencies, helping them write and place commercial insurance with SIAA and SIA of Northern Ohio carrier partners. In addition to her role helping agents, Michelle is currently working towards her Certified Insurance Counselor (CIC) designation. Michelle currently resides in the greater Cleveland with her husband Sam and their two sons. 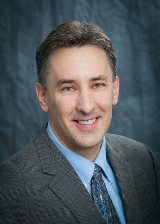 Russell Durst joined SIA of Northern Ohio in 2014 as Regional Vice President, heading up recruitment and onboarding of new members. His insurance career began in 2003 as Personal Lines Sales Representative for Liberty Mutual. In 2007, he joined Travelers Personal Insurance, initially as an Agency Recruiter. At the end of 2008, he moved into a Sales Executive role, with responsibility for managing a territory of 90+ independent agency relationships throughout northern Ohio. This role included partnering with agencies of all sizes, focusing on promoting growth and retention strategies. Russ is a life-long resident of northern Ohio, earning an MBA from Bowling Green State University, and currently living in the greater Cleveland area. His greatest joy is being married to his wife Tricia and raising his two teenage sons. Over the last decade, he has coached multiple youth sports teams and volunteered at various church and school functions. Scott founded SIA of Northern Ohio in October of 2001 along with his then Partner, John Hertvik. 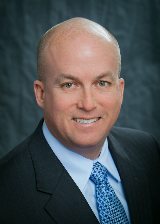 Scott has more than 20 years experience in P&C, Life and Financial Services in addition to serving on numerous statewide and national insurance company advisory boards. Under his leadership, the Hertvik Insurance Group has evolved into an industry leader as measured by client retention, carrier relations, community involvement, and industry awards and recognition. A graduate from Bowling Green State University (Insurance Major), Scott began his insurance career serving as a Marketing Manager for Westfield Insurance. While at Westfield, Scott resided in Des Moines and was responsible for agency distribution and production in the state of Iowa. 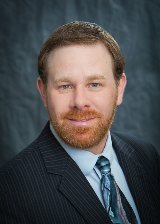 Scott earned the Certified Insurance Counselor designation in 1998 and joined the Hertvik Insurance Group in 1999. Amanda Galvin-Synk, Office Manager joined SIA of Northern Ohio in 2015. Her background spans from operations and office management, to HR/accounting and risk management. Amanda is a detail oriented professional committed to a focus on improvement, and passionate about leadership. A shutterbug born in Medina, Amanda enjoys traveling & seeing new beauty as much she can. She’s hoping to someday increase the number of countries visited in Europe after checking four off the list in 2012. Her husband is learning to pause with her as she shoots everything with her camera that moves (or doesn’t). Jack Hertvik is the third generation of the Hertvik family to work in the agency. After working in insurance part-time throughout his youth he joined the Hertvik Insurance Group full-time in 2001. Jack learned early on from his father and grandfather that taking care of the client is paramount. Jack's career has included positions in customer service and accounting before being named Vice President of Personal Lines. In 2010, Jack was named President of SIA of Northern Ohio, a networking independent agencies operated by the Hertvik Insurance Group. In this role Jack is responsible for daily management of network operations. 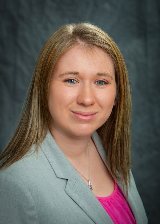 Heather Winkler joined Hertvik in 2013, as a Personal Client Manager, and had an extensive customer service background prior to joining the insurance industry in 2009. Presently, Heather works with over 60 independent insurance agencies, helping them place personal lines insurance business through AccessPlus. This includes SIAA and SIA of Northern Ohio national and regional carrier partners. Heather and her husband, Richard, reside in the greater Cleveland area, along with their three children. 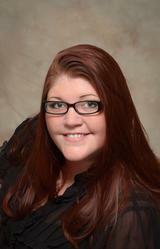 Heather is currently pursuing her Certified Insurance Counselor (CIC) designation. Outisde of work, Heather enjoys spending time with family and volunteering as a Girl Scout Mom.